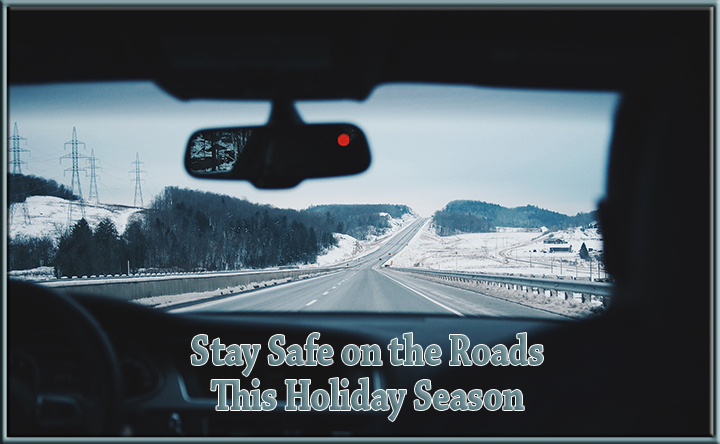 Stay Safe on the Roads this Holiday Season - Scarsdale Premier Insurance Agency | Advocate Brokerage Corp. The holiday season is here and current mild temperatures withstanding, winter will be approaching….soon. Advocate Brokerage would like to make sure you are ready to hit the road this holiday season, prepared for whatever the weather or other potentially hazardous driving conditions may come your way! When temperatures dip and the weather turns to sleet and snow a simple trip to town can become a dangerous ride. In fact 23% of all fatal crashes are weather related. 17% of those involve roadways that are covered with snow and sleet. While those statistics are a bit frightening, there are things you can do to make reduce your risk of a crash. According to a study done in the UC Berkley Traffic Center most weather related fatal crashes could be prevented if drivers reduced their speed. Posted speed limits are for normal road conditions and do not factor in rain, snow or sleet. If the speed limit sign is 55 mph and you are traveling at 40mph you could STILL be going too fast for the road conditions at the time. Studies have shown that the rate of automobile wrecks are higher during the beginning of the storm. Drivers tend to be slow to adjust their driving speed as the storm progresses. At the first hint of slick driving conditions, reduce your speed and continue to adjust as the storm progresses. Second, be sure your car is winter ready! Celebrate, have fun but use caution before getting behind the wheel. How much is too much depends on more than the amount you drink. Pay attention to the amount of time it takes you to consume the alcohol as well as the amount of food you have eaten. If you have any doubt about your ability to operate an automobile, we recommend that you find an alternative way home! Swerving and continually easing out of their driving lane. Sudden braking for no apparent reason. Random speeding up or slowing down. Slow reaction times at traffic lights. As your insurance Advocate, we want to help you live and let us help you take care of the details! Our hope is that these words of caution help you prepare for a safe, healthy and happy winter season. If you have any questions regarding your vehicle coverage, please don’t hesitate to give us a call.